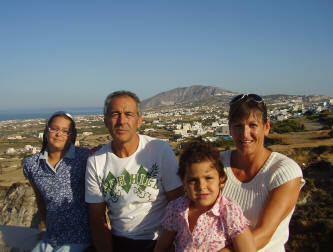 Santorini Tours - Ready To Create Some Great Memories? I am Dimitris Nikolaidis and my wife Patricia Leidert are the owners from SantoriniTours.Net a tour company that is specialized in Private Tours. I have been to many places in Europe and I also lived for a couple years in the US. This helps me relate to all of our visitors. I love being around people and having been a professional driver for over 35 years I decided to combine both my passions. Twelve years ago I started my own business providing private Santorini tours, group transportation for film crews, photo shoots for magazines and weddings. While you are visiting Santorini on a cruise ship or staying at a local hotel, if you would like to discover the most beautiful parts of the island then you have come to the right place. With us you will have the opportunity to see villages, hidden places, visit a winery to taste the wines and finish your experience with some local dishes at a very simple Tavern by the water. The vehicles that we use are new, clean, fully air-conditioned, very comfortable and can accommodate small or large groups. 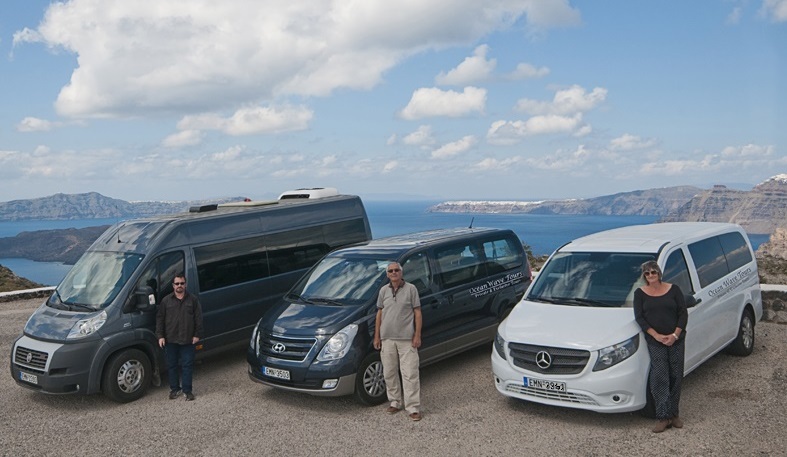 Me, my wife, Patricia, and the Santorini tour guides that I use are very experienced, friendly, speak English fluently and we are all very familiar with the island hotspots and its rich history. I know we are very competitively priced ...the reason .....because we have no 'middle man' !! Please read all the comments about us or OceanWave Tours on the Cruise Critic Boards, TripAdvisor and on Fodor's guide before you book a tour with us. Copyright © 2014 oceanwavetours All Rights Reserved.